Welcome to our SSDI Learning Resources page! We know that applying for Social Security Disability Insurance (or SSDI) can be a confusing process, and we are here to help. If you’re considering applying for the first time, you might not even know where to start. You might be wondering, “What is SSDI?” “Do I qualify?” or “What do I need to do to apply?” Or, if your prior application has been denied, you may be looking for information on the appeals process or wondering whether you can or should apply again. In other words, if you’re here, you likely have questions. We also realize that taking those questions to an attorney can be intimidating, and you might be concerned that hiring an attorney will cost money that you don’t have. That’s why we’ve created this resource page, to help you find answers to all of your SSDI-related questions. 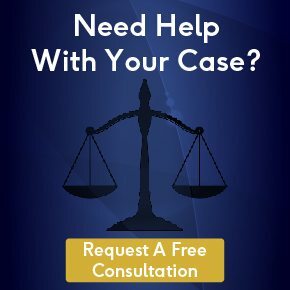 We hope that you find these resources helpful, and that you’ll feel comfortable contacting us if you have further questions or you’d like us to review your case. Here you’ll find information on all of the basic aspects of the SSDI application process, from what SSDI is, how it differs from SSI, and who qualifies. If you’re wondering whether an SSDI application is an option for you, then this is a great place to start. What are SSDI benefits and how are they calculated? What is their purpose, and who are they intended to benefit? If my application is successful, how much could I receive? This section provides basic information to help you decide whether SSDI benefits are right for you. Once you’ve learned about what SSDI does and who it helps and why, then your next step is to decide whether you want to apply. But before you apply, you should look into whether you are eligible to receive SSDI benefits. This section provides information on how to determine whether you are eligible according to the Social Security Administration’s (SSA’s) standards, so that you will be better equipped to decide whether an SSDI application is worth your efforts. After learning the ins and outs of the SSDI benefits program, and figuring out how to determine your eligibility, your next step would be to begin your SSDI application. Here, we tell you what information you need for your application, and how to best support your application so as to increase your chances of having your request granted. We also discuss how to decide whether you should hire an attorney to help you with this process, and how long you should expect to wait for a response from the SSA. Unfortunately, having your SSDI application denied is often simply a part of the application process. Here, we will explain why most SSDI applications are denied, and why the majority of people who receive SSDI benefits do so after a successful denial of their appeal. We also tell you why appealing your denial is a better choice than re-applying, and we explain the many steps of the appeals process. You can also see statistics on the percentage of applications which are approved or denied at each of the stages of the appeals process. Finally, we discuss why you should hire an attorney to handle your appeal, and we tell you how that attorney’s fees will be calculated and paid. what to look for, or what questions to ask? In this section, we talk about hiring an attorney and why it can be a good decision when it comes to your SSDI application and/or appeal. We also explain how much it will cost to hire an attorney, and why you will not need to pay any money to a lawyer until your SSDI claim is resolved and you’ve received your benefits check. Looking for answers to specific questions? You’ve come to the right place. Here you’ll find everything from questions about applications to appeals and back pay. And while your own situation is unique, we try to cover the most common questions about the SSDI application and appeals process so as to help you navigate your way through these tasks. Still can’t find what you need? Contact us – we’ll be happy to help.